Skydiving is coming to Sherkston Shores Beach Resort & Campground! On Thursday July 5, visit Wyldewood Beach from 1 p.m. to 7 p.m. as we commemorate the first Canadian parachute jump at the 2018 Niagara Falls Sky Fest. This annual event celebrates the Niagara region’s rich aviation history. Sky Fest is typically held at Crystal Beach in Fort Erie, Ontario, but due to construction on the beach, the spot wasn’t a practical choice this year. So for 2018, we’ve picked up the mantle to host this fun-filled event at Sherkston Shores in order to pay homage to Frank Ellis, who made the first Canadian parachute jump 99 years ago in 1919. This free event is open to the public, and the festivities will be held at Wyldwood Beach, situated alongside Lake Erie; no access to the resort amenities or facilities will be available to the public. Homeowners and campers at Sherkston Shores are also welcome to join in the fun at the Sky Fest too! Traffic flow and parking will be coordinated and monitored by the security team here at Sherkston Shores. First, enjoy a thrilling skydiving show brought to you by the Geronimo! Skydiving. This highly skilled team, composed of skydiving experts based in Fort Erie, Ontario, is sure to be the highlight of the afternoon. Later that evening ,the Canadian Warplane Heritage Museum’s WWII DC-3 Dakota will make its way into the sky to celebrate Frank Ellis’s historic jump in 1919. At 5:30 p.m. where the jet will trail smoke across the waters of Lake Erie and the Geronimo! Skydiving Team will showcase a replica of the 1919 jump while taking the Canadian flag into the air. During the afternoon the festival will host live music and games for children and families to take part in. With access to the beautiful waters of Lake Erie, guests can take a dip while watching aerial displays and skydiving exhibitions. Located 90 minutes away from the Greater Toronto area and 30 minutes from Buffalo, Sherkston Shores is the perfect spot for this year’s event. Aviation enthusiasts everywhere are invited to join us as we celebrate Niagara Falls Sky Fest. Keep things simple and stay at Sherkston Shores during your visit. Our Lake Erie RV resort features gorgeous tent and RV sites for you to stay at. 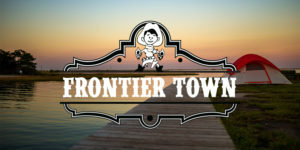 In addition to these accommodations, there are also many lakefront vacation rentals, including cabins and cottages. Come stay at Sherkston Shores and experience skydiving like you’ve never seen. Share this post with your friends and start planning your trip today!